for a Golf Cart to be Considered an LSV. When I am here at Prime Golf Cars, one of the most frequently asked questions that we get is what is involved in “Making a golf cart street legal?” When you are ready to get your golf cart suited up for driving on the street, Prime Golf Cars has all the parts you need along with some super helpful tips to get you started in the right direction! 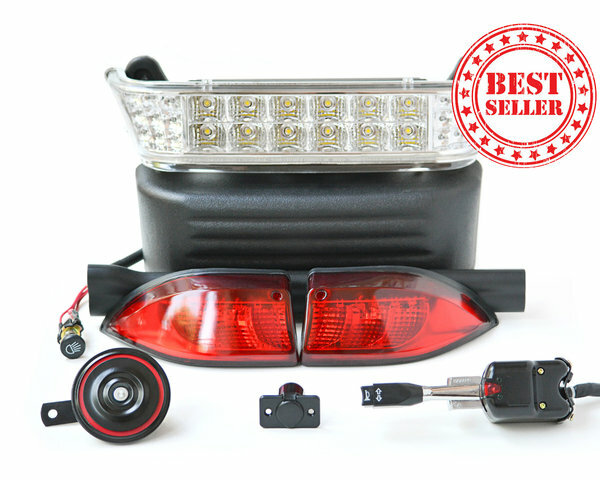 If you’re in need of a Street Legal light kit, we carry street legal light kits for all Club Car, EZ-GO & Yamaha golf carts! 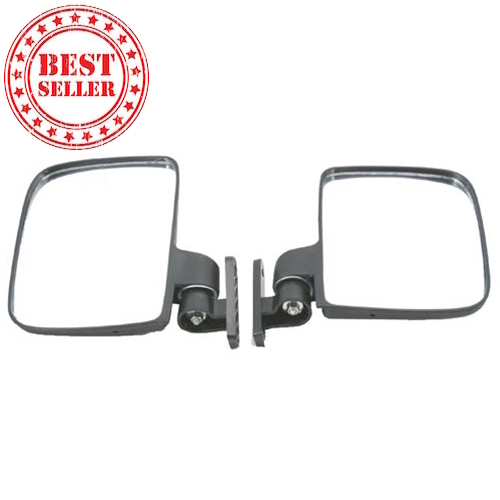 You can also purchase these parts individually thru us or on the internet. If you need help picking out the right light kit for your golf cart, see us here at Prime Golf Cars and we will help you to find the right light kit for your application. If you have any other questions about light kits in general, contact us for more information. Safety first! Now that you’ve got all of the necessary lights, mirrors and windshields, you’ll need just a few more things and you’ll be ready to hit the road! Seat Belts For ALL Drivers And Passengers: This is a given. You definitely need to make sure that everyone is buckled up! Speedometer: Sometimes those beautiful, sunny days get us itchin’ to go…. Go a little too fast sometimes! It’s so important to always obey the posted speed limits, in addition to all of the rules of the road. Slow Moving Vehicle Sign: Many local ordinances require you to to have a “Slow Moving Vehicle” sign while out on the road. While it’s not ALWAYS required, we always recommend it. These are some of the things which are making a golf cart street legal. CHECK YOUR LOCAL LAWS. The laws on this topic vary not only from state to state, but also by municipality/city. For example, in some cities in Florida, Georgia, Texas and California there are entire communities that drive their golf carts on the street. ALWAYS check with your local municipality to make sure it’s okay to drive a golf cart on the street. Even with the proper lighting/indicators and accessories, the laws and rules are constantly changing, so the Cardinal Rule is to always CHECK FIRST before driving your golf cart on the street. Better to be safe than sorry! Once you’re equipped with all of the parts and pieces listed above, you’ll be ready to roll! If you have any other questions about making a golf cart street legal, we are here to help. Conducting regular golf cart tire maintenance is an important way to keep your golf cart useful and always operating smoothly. Many of today’s golf cart tires are very similar to the tires on our everyday vehicles. Some of the tires may be smaller and have special treads patterns which allow them the ability to drive over the different terrains that make up a golf course and other off-road locations. Although they are sometimes smaller, your golf cart tires require similar care that regular vehicle tires require. How long your golf cart tires will last depends on how frequently you use your golf cart, the weight of your cargo loads, your driving speeds, and the conditions in which you drive. You should always check your tires for wear and there are some easy indications to look for when deciding if your tires are due for replacement. It is always wise to check for adequate tire pressure. Typically the tire pressure for golf carts falls between 20-22 lbs per square inch – but check your manufacturer’s recommended levels on the side of the tire to be sure. Proper tire pressure is mandatory for keeping your tires in good shape. If you run your tires with too little pressure, this will cause the tread of your tires to wear down prematurely. If you are using your golf cart off-road, then a little less tire pressure will give you more traction – but remember that more frequent check-ups on tire wear is recommended. Too much pressure will cause the internal tire to wear down. Also, too much pressure in your tire will lessen the traction that your tires get on the ground which could be potentially dangerous if you are riding on slick or icy surfaces. If you are using your golf cart for regular on-road driving, then proper tire pressure is definitely recommended – not too much and not too little. Also check the proper pressure on the tire to determine proper inflation levels. Most of the standard golf cart tires are designed to handle golf cart speeds. They are not made to withstand the high speed and abuse that regular vehicle tires experience. If you have plans on driving your golf cart at speeds which are higher than recommended, then you should consider purchasing custom golf cart tires that are made to be driven at higher speeds. 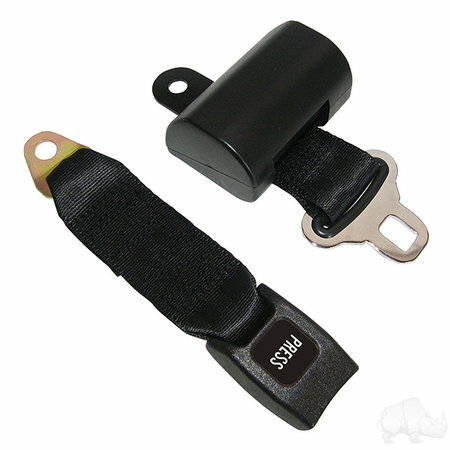 This will reduce the wear on both your tires and your golf cart. Checking the sidewalls of your tires is a good habit to form. If you notice some irregular bumps, this may be an indication of internal wear and could mean that it is time to change your tires on your golf cart. It is best to eliminate tires which have noticeable bulges and irregular swelling as soon as possible because ignoring these red flags may lead to a blown out tire at any time. The Penny Test really gives you a good gauge on your tire wear if you don’t notice any obvious irregularities but would still like to see how much wear your tires are experiencing. Take a penny and place it into a groove of your tire. The deeper the penny is, the more tread your tire still has. The more the penny is exposed, the more worn down your tire tread is. By checking the health of your tires every now and then only take a few minutes. By maintaining the proper tire maintenance intervals will ensure the best traction and handling for your ride, which translates into longer, smoother, and safer driving conditions. Golf cart battery maintenance is very important to get the best possible performance out of your golf cart. Whether you have an Evolution, ACG, EZ GO, Club Car, Moke or Yamaha golf cart, or any one of the other golf cart models available, below are our what we feel are the top eight golf cart battery maintenance tips to keep any golf cart or golf car batteries in excellent operating condition. 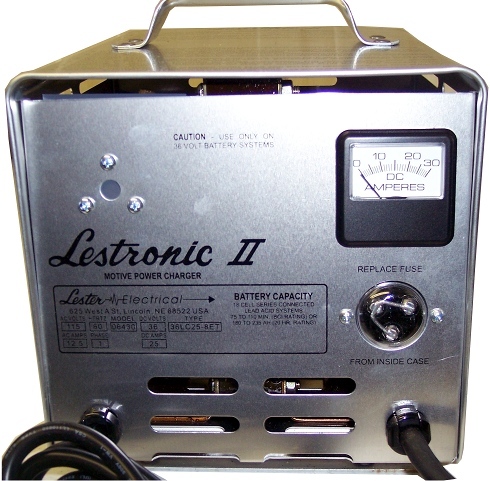 1) Charge your batteries for 8 to 10 hours with the proper style of golf cart battery charger. This is based on an 80% discharge, so at the time of charging the golf cart batteries would still be 20% charged. The best practice is to charge overnight after you are done using your cart for the day. Even if you only used the cart for 5 minutes, you’ll want to give the golf cart batteries a good charge. If you are looking to buy a high quality golf cart charger that you can plug in and forget about overnight (no manual shut off needed), check out the large selection of automatic Golf Car Chargers, or with many of the ACG and Evolution golf cars just plug the cart in and walk away. Newly purchased batteries require a full charge before use. New batteries need to be cycled several times (20 – 50 cycles, depending on type) before reaching full capacity. Usage should be limited during this period. 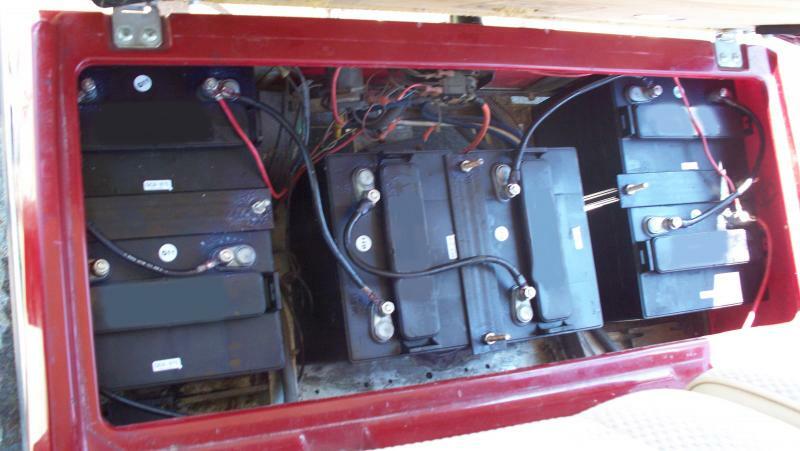 2) Proper golf cart battery maintenance is essential to proper operation of your car. 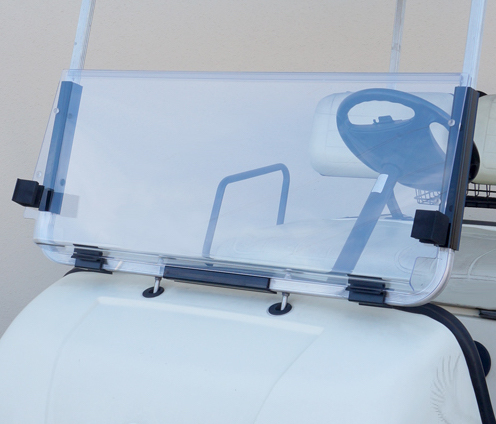 Keep the tops of each golf cart battery dry, clean and tight. You can clean the batteries with a bristle brush and a solution of baking soda and water, but definitely wear eye protection and rubber gloves (no jewelry). You can also spray the cables with anti-corrosive spray to prevent corrosion and rust. Battery connectors should be kept tight at all times. Vent caps should remain in place and tight at all times during vehicle operation and charging. 3) During golf cart battery maintenance, remember to fill all golf cart battery cells ONLY AFTER charging, and do not over fill. Fill battery cells (aka water fill holes) with distilled water (not tap water) ¼ to ½ inch above the plates. With ¼ inch of water you will have to check your batteries more often, but at ½ inch you’ll likely have more acid accumulation on the tops of the batteries. Either level is acceptable; it’s really your call. Distilled or treated water should be used to replenish batteries. Care should be taken to avoid metallic contamination (iron). Battery should be kept clean from all dirt and corrosion. 4) To keep your golf car batteries at maximum capacity, use golf cart batteries often. Always remember to do a refresh charge every 45 to 60 days, and even more frequently in hotter climates. This can be difficult to do if you use your golf cart only on a seasonal basis, but if you use a golf cart battery charger with an advanced storage mode feature you’ll get an automatic refresh charge on a regular basis as long as the charger is plugged in to your golf cart while you are away. Batteries should not be discharged below 80% of their rated capacity for best battery life. Properly charging your batteries will help avoid excessive discharge. As batteries age, their maintenance requirements changes as well. Usually older batteries needed watered more often and require longer charging times. The capacity also is reduced. 5) Do not over charge your golf cart batteries. It is best if you have an automatic golf cart charger, in that way this is not a concern for you! Batteries should be brought up to full charge at the earliest opportunity. Avoid operating batteries in a partially charged condition. This will reduce there capacity and shorten their life span. 6) Do not discharge golf cart batteries beyond an 80% discharge. We recommended that you discharge your golf cart batteries to between 50-80 percent, do not go beyond 80 percent or to the point where your golf cart batteries are completely dead since this is not beneficial for the battery life. Periodic testing is an important preventative maintenance procedure. Hydrometer readings of each cell while fully charged gives an indication of balance and true charge level. Imbalance could mean the need for equalizing, and is also sign of possible improper charging or a bad cell. Voltage tests (open circuit, charged and discharged) can locate a bad or weak battery. Load testing will pick out a bad battery when other methods fail. A weak battery will cause premature failure of companion batteries. 7) Do not charge frozen batteries. Also avoid charging batteries above 120°F or ambient temperature, whichever is higher. 8) Record the battery voltage of each golf cart battery cell for future reference. Always remember to use a matched voltage charger and battery pack system. An undersized charger will never get the job done no matter how long the battery is left on a charge. An oversized charger will cause excessive gassing and heat which could cause explosions or other damage to the batteries or to your golf car. Golf cart batteries should last for 5-6 years. So after 5-6 years if you’re finding your golf cart is getting sluggish, it may be time for a new set of batteries. 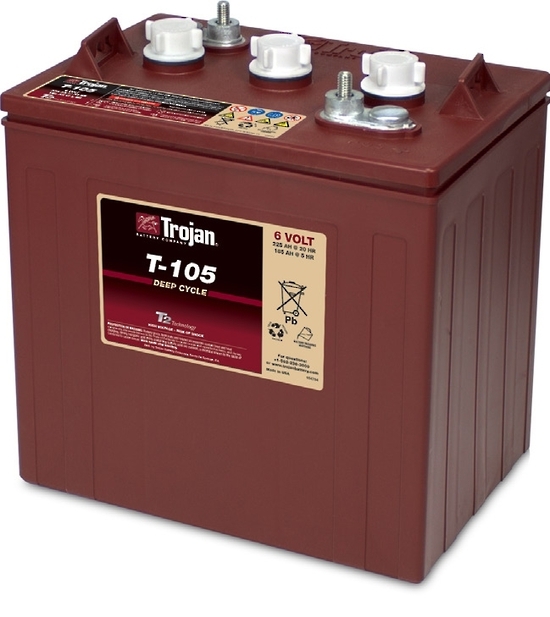 We suggest purchasing either Powertron or Trojan Battery brands for best results. What defines a Street Legal Golf Car? So what is the definition of a street legal golf car, exactly? And how does a street legal golf car differ from your regular golf car? Street legal golf cars include several built-in safety features added to make it suitable for use on low speed residential streets, such as those within your neighborhood or even on some public highways. In order to qualify as “street legal,” your golf car must adhere to Florida’s laws. These rules apply to Low-Speed Vehicles (LSV’s) and Neighborhood Electric Vehicles (NEV’s). What are the Florida Laws for a Street Legal Golf Car? Everyone must keep in mind that the laws for street legal golf cars or street legal golf cars can vary from state-to-state. 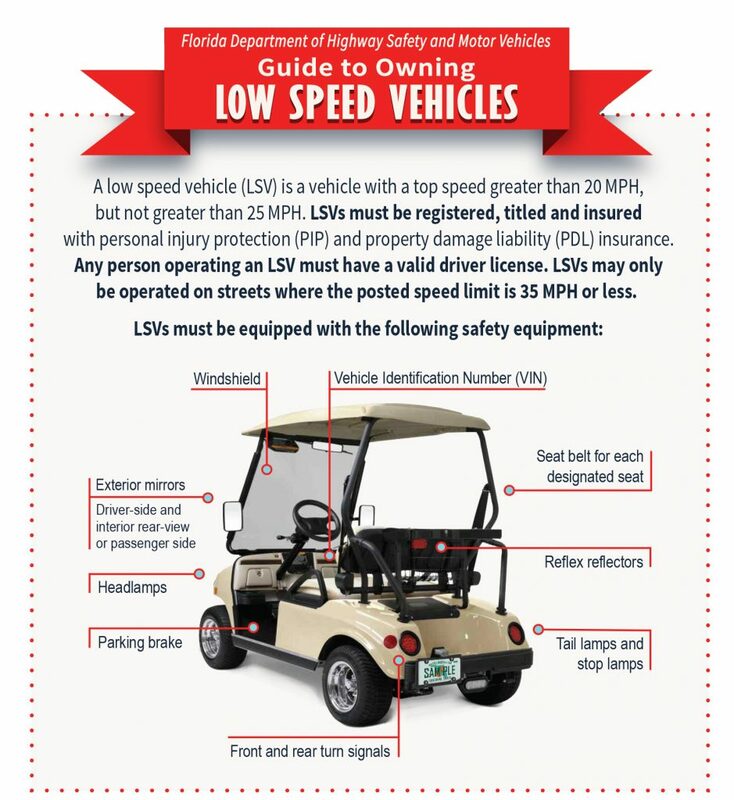 Whether you’re a Florida resident or a tourist, you must abide by the laws and regulations established by the state in which the street legal golf car is used. You will know if your golf car qualifies as a street legal vehicle or is suited for street use if it meets the definition below. Street legal vehicles are defined by Florida Statute 320.01(42) as “any four-wheeled electric vehicles whose top speed is greater than 20 miles per hour but not greater than 25 miles per hour.” This includes Low Speed Vehicles such as Neighborhood Electric Vehicles (NEV). 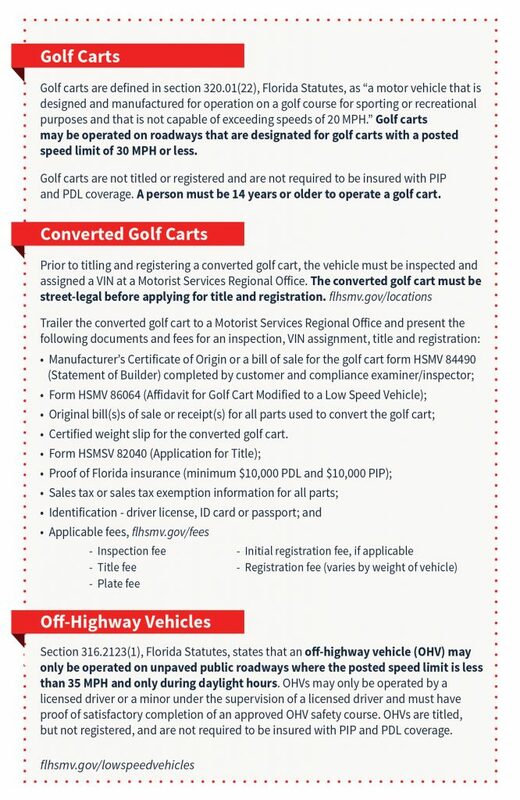 Golf cars that are not considered low speed vehicles are prohibited from operation on roads with a few exceptions detailed in s. 316.212. As with motor vehicles, low speed vehicles are subject to a license tax, which is the same as that prescribed in Florida Statute s. 320.08- for non-electrically powered vehicles. Florida NEV’s and low speed vehicles are prohibited from operation on roads with posted speed limits above 35 miles per hour however they are allowed to cross major roads that have higher speed limits. That being said, a county or municipality can prohibit the use of street legal golf cars or LSV’s on any road in its jurisdiction, as is the Department of Transportation. Always be sure to check with your local laws and community for specific information about their policies. Laws for street legal vehicles vary by state and county, but Prime Golf Cars can help you find the right golf car to accommodate your particular needs. From open and closed beds, to cargo bodies, limo style or vintage classic cars, we can show you a custom golf cart or commercial golf car designed to suit your needs or style. Need a street legal golf car designed specifically for transportation and taxiing people from one place to another? Consider a limo model which features additional seating. Have a job that requires carrying heavy or bulky loads? Street legal golf cars with open and closed bed options are perfect for maintenance work and other hands-on jobs. We also have different tire and wheel options depending on the preferred terrain of your vehicle. 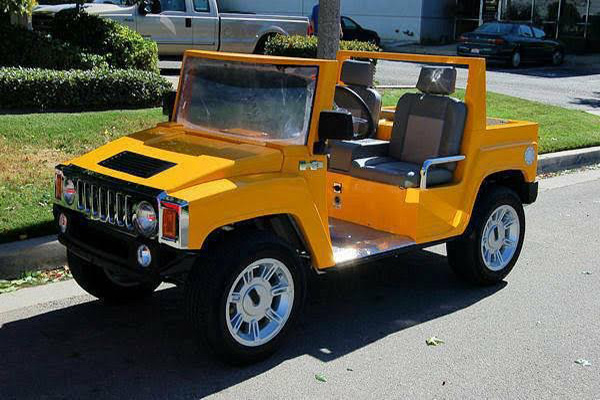 You can also jazz up your street legal golf car with radio installs, horns, coolers, storage, lift kits, and more! We can help get you into the perfect street legal golf car model or our service department can modify your vehicle with a street legal kit and various custom options based on your preferences.